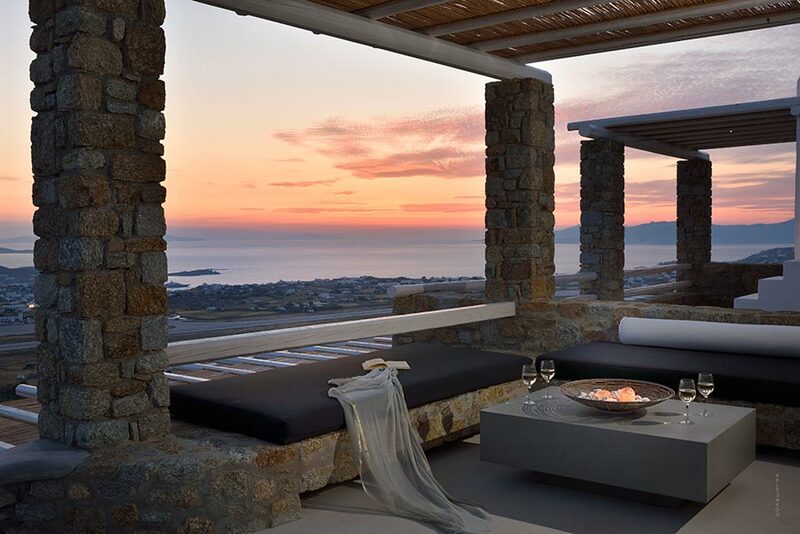 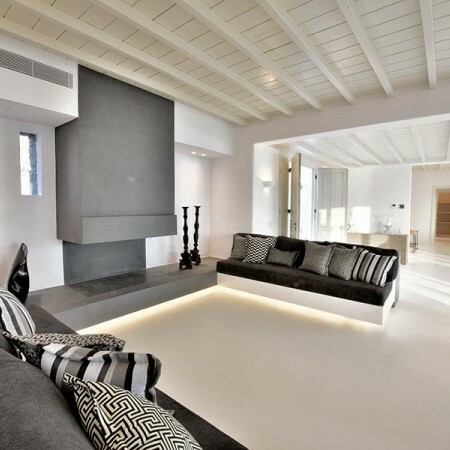 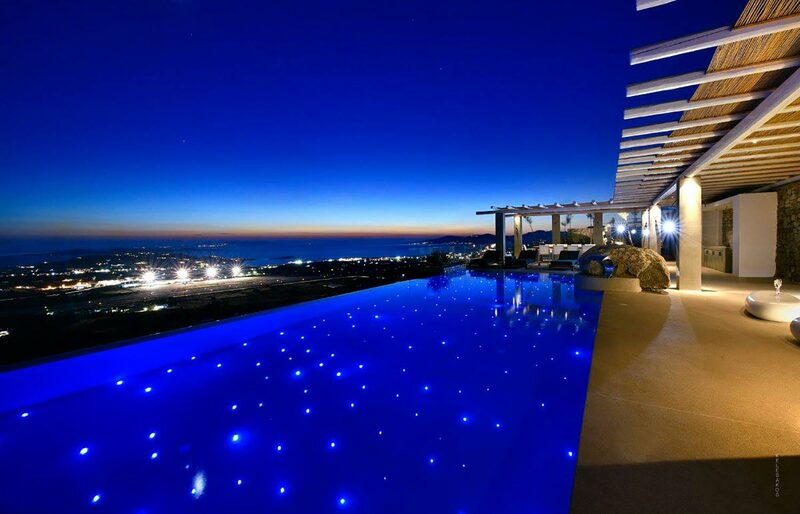 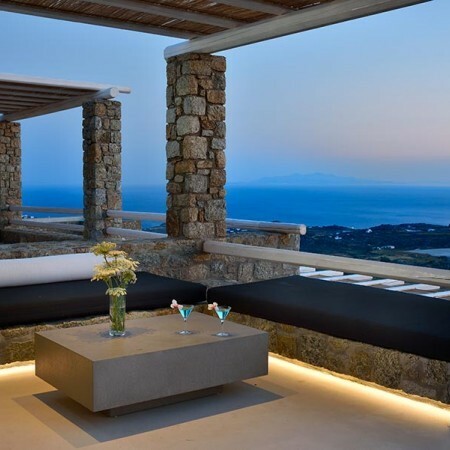 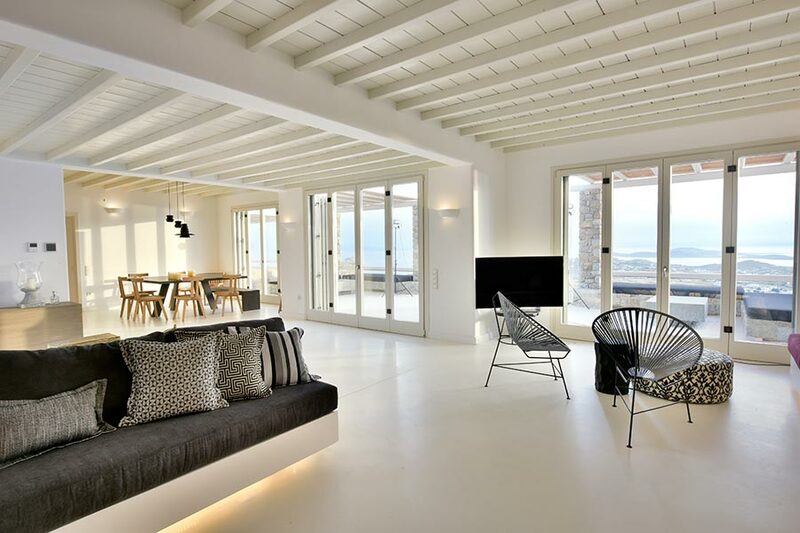 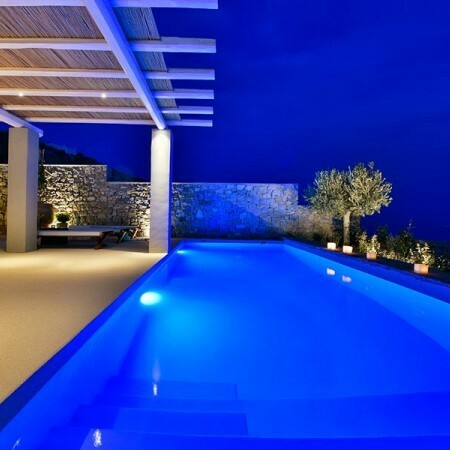 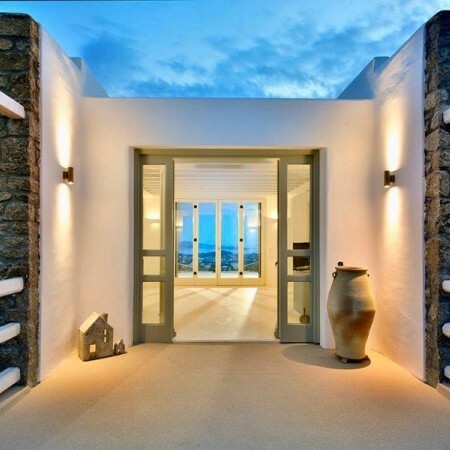 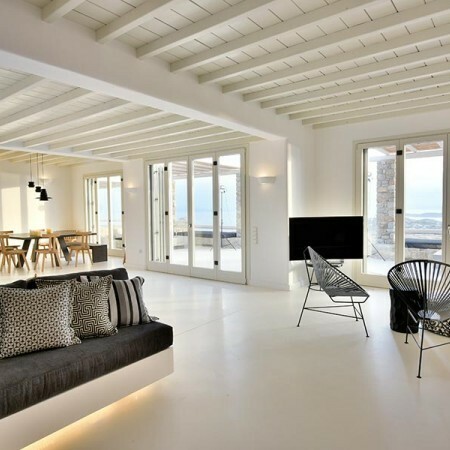 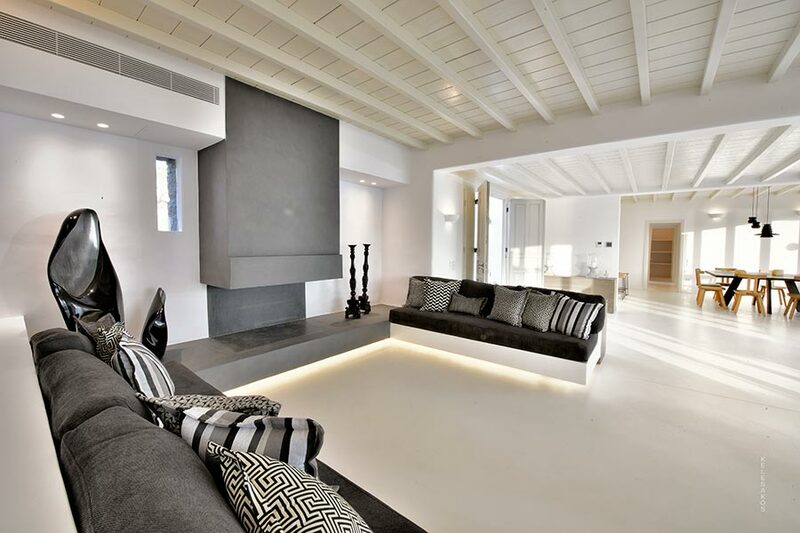 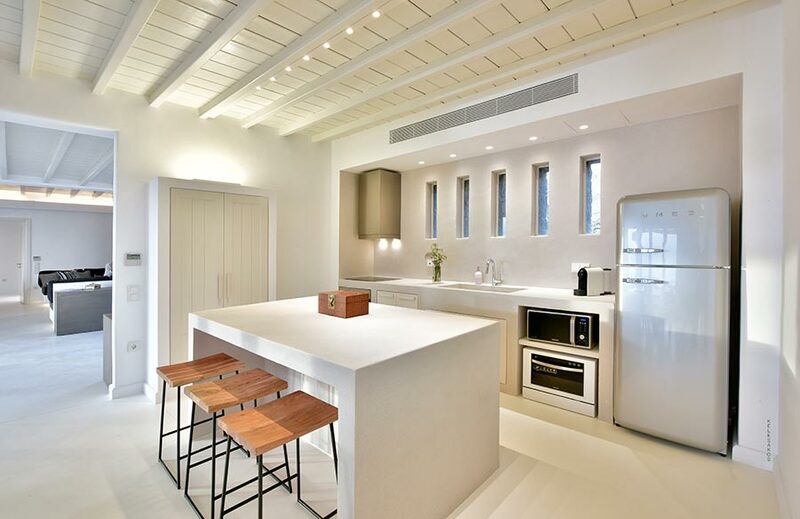 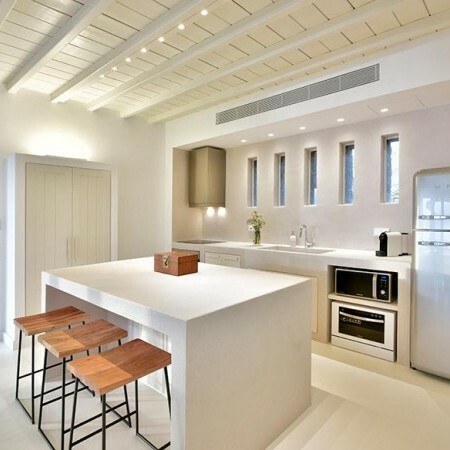 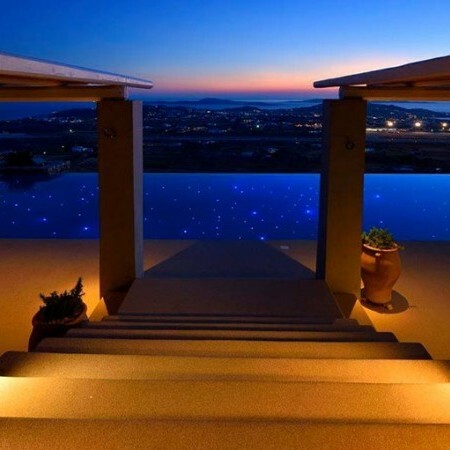 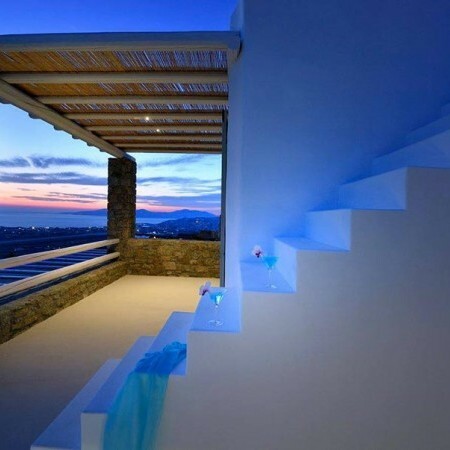 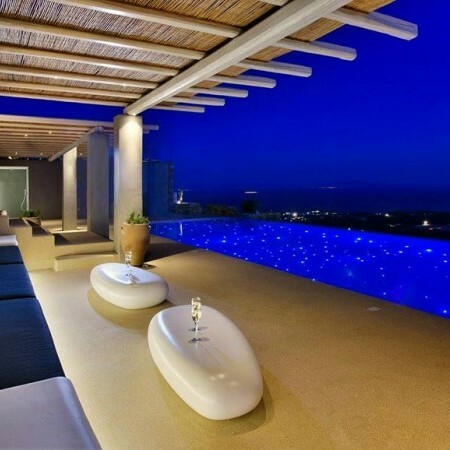 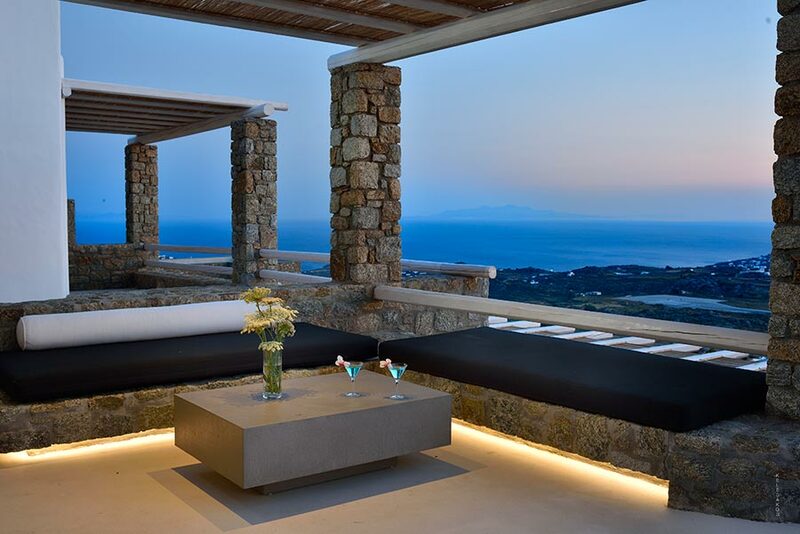 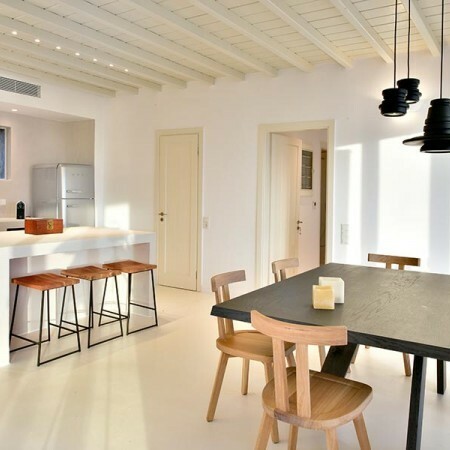 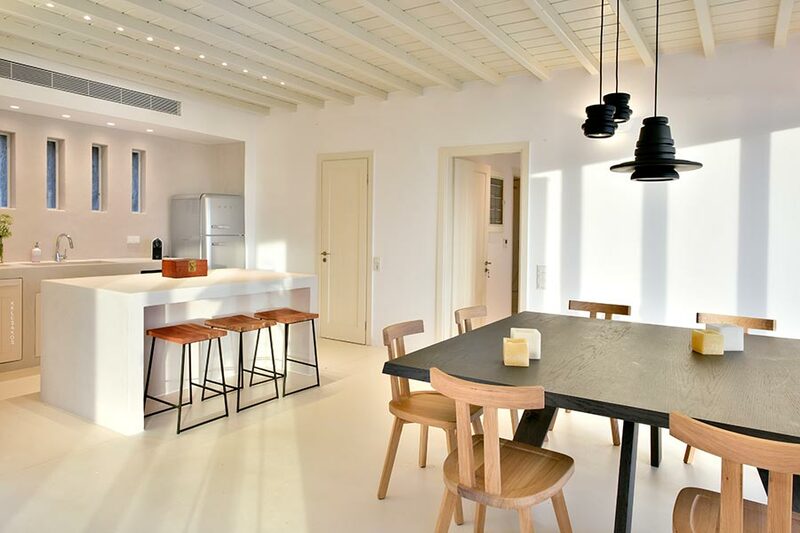 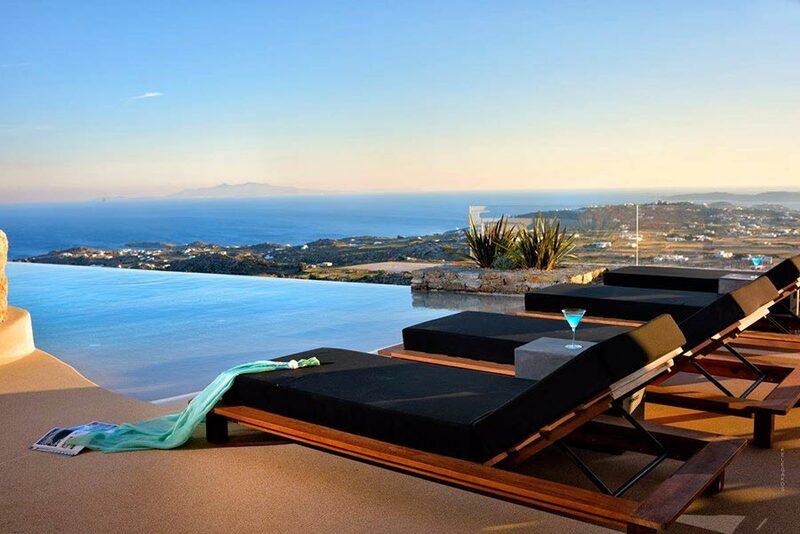 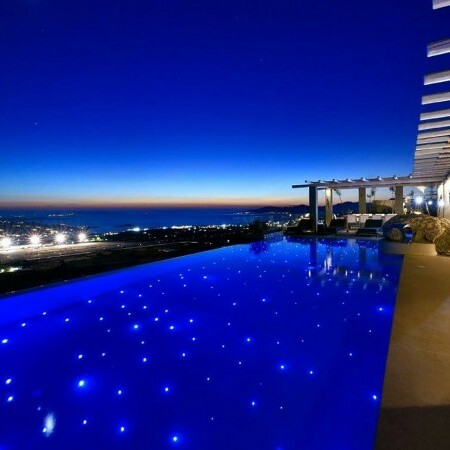 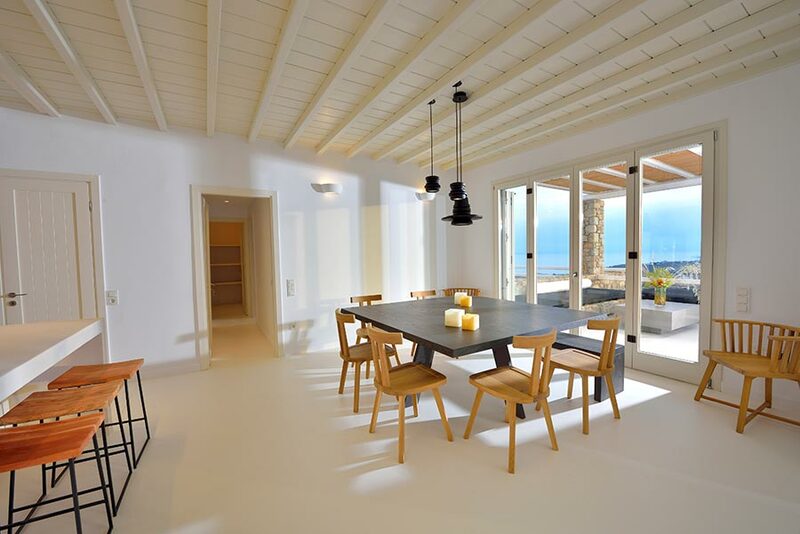 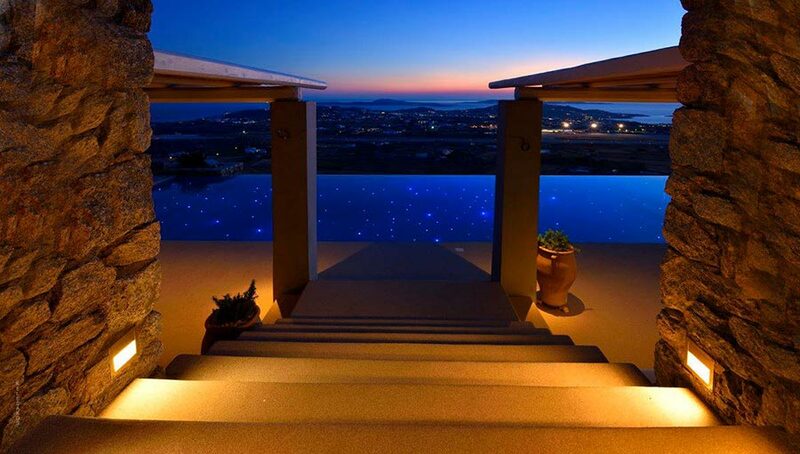 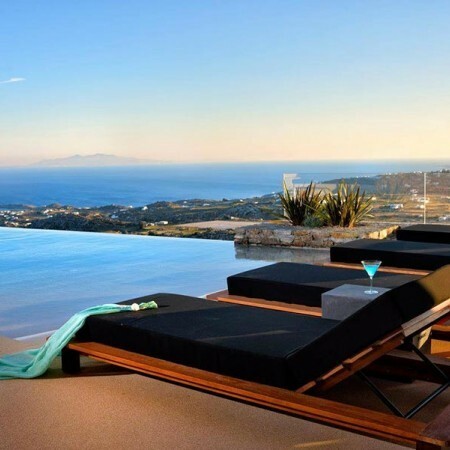 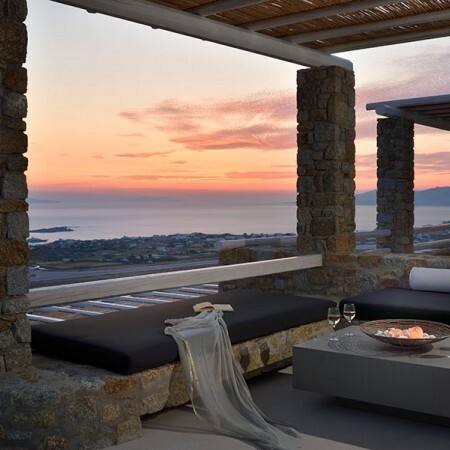 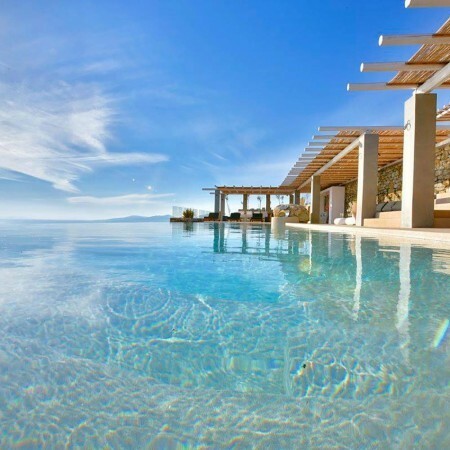 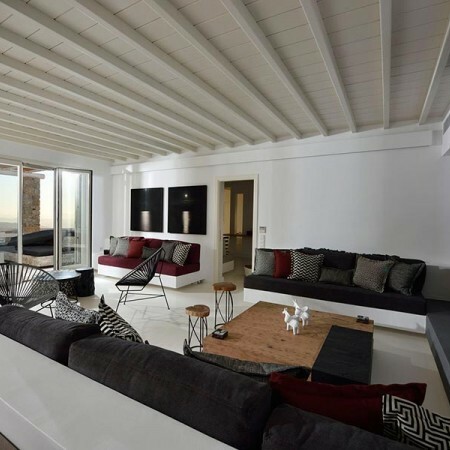 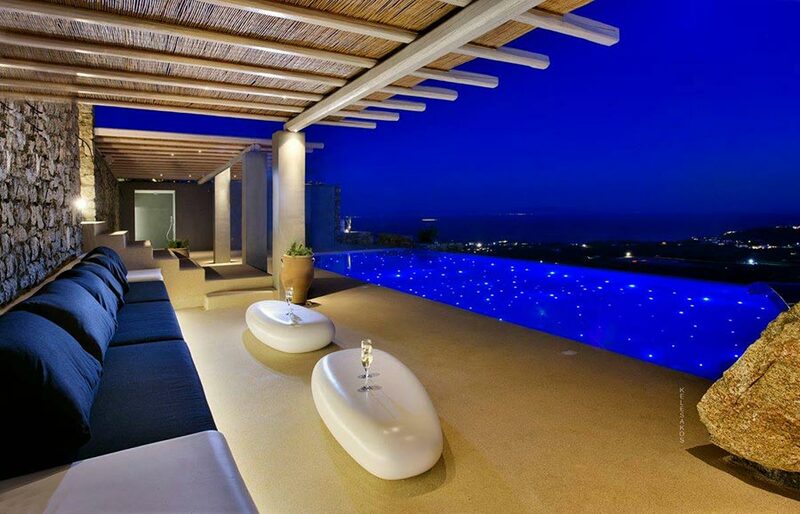 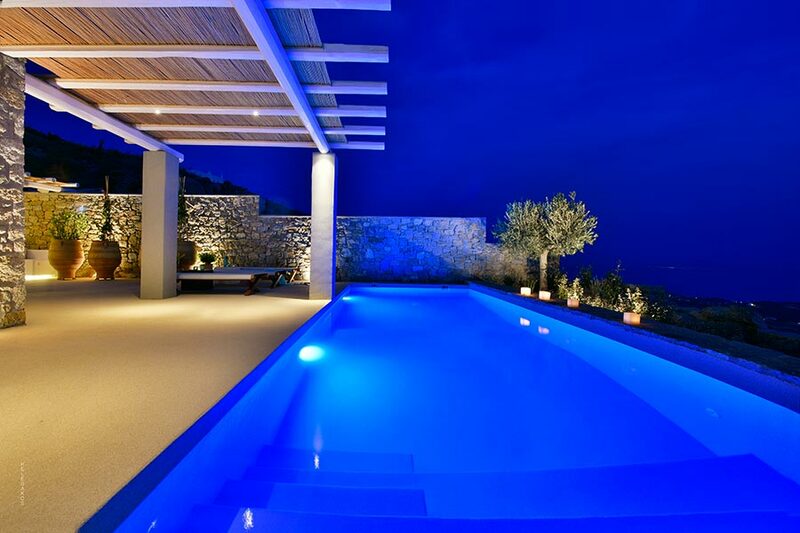 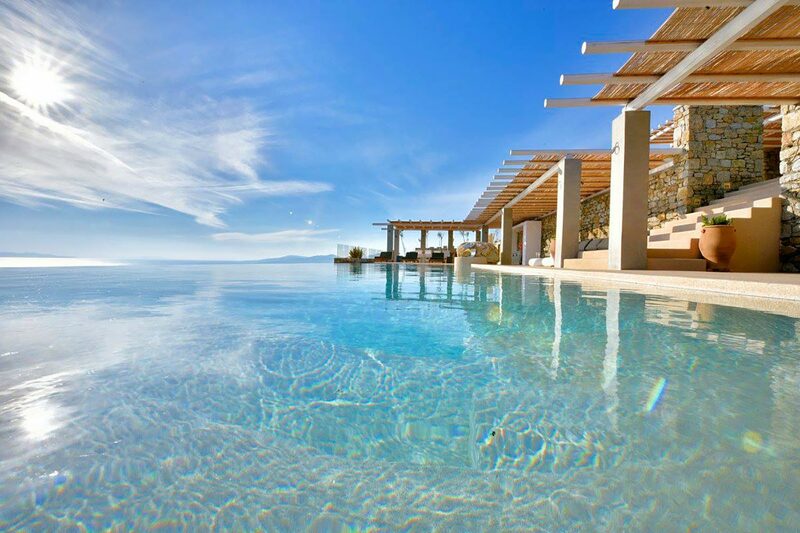 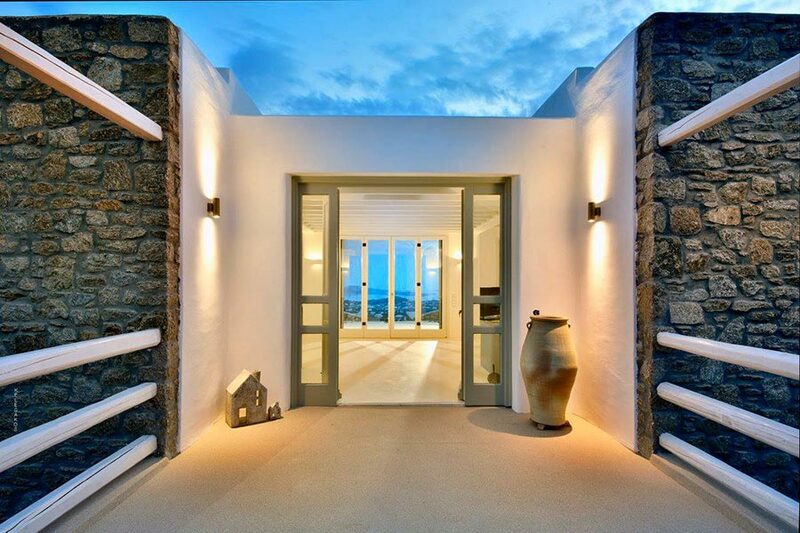 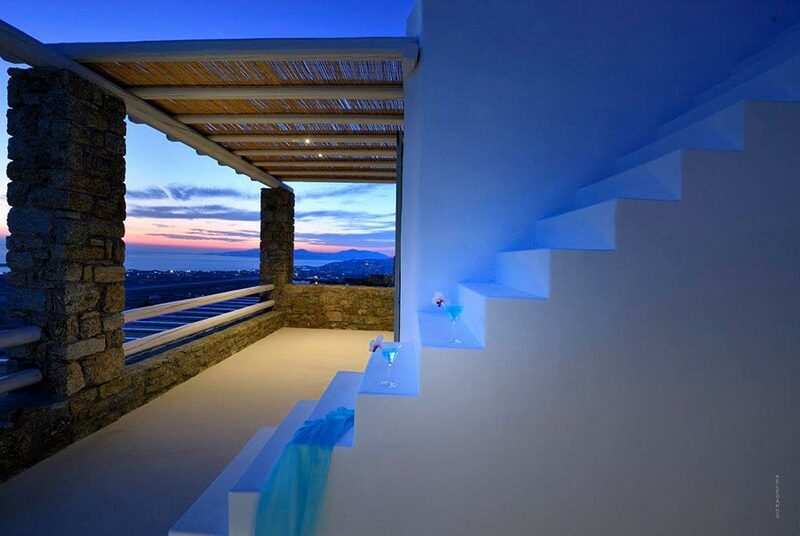 An amazing ground level, 240sqm villa Almandine, stunningly built at the hilltop of the complex overlooking the Aegean Sea and Cyclades islands. 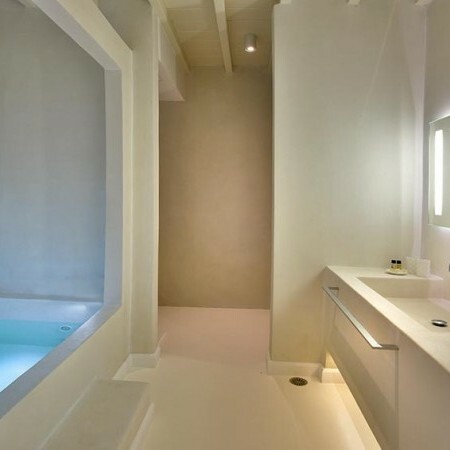 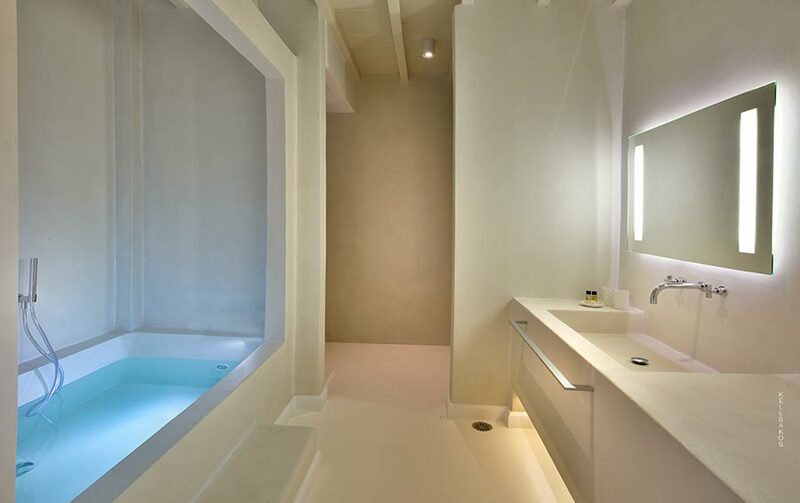 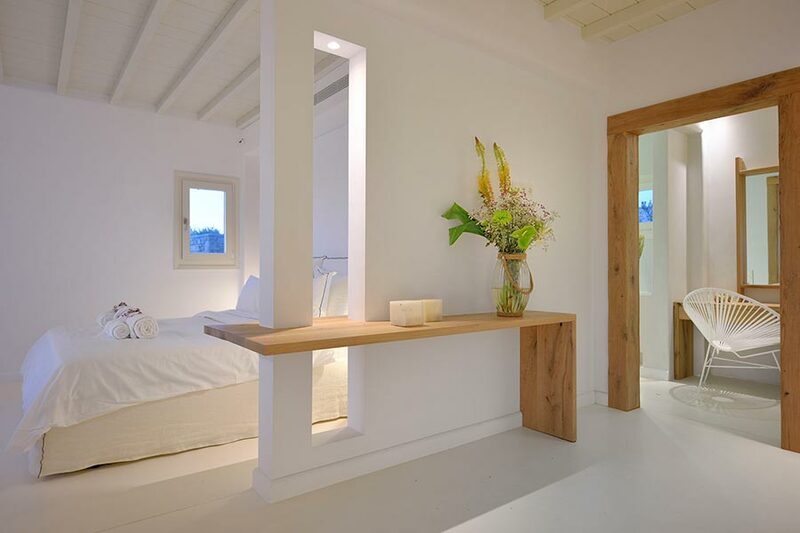 Can accommodate up to 6 guests, with 3 bedrooms, 2 master with en suite bathrooms and one separate bedroom. 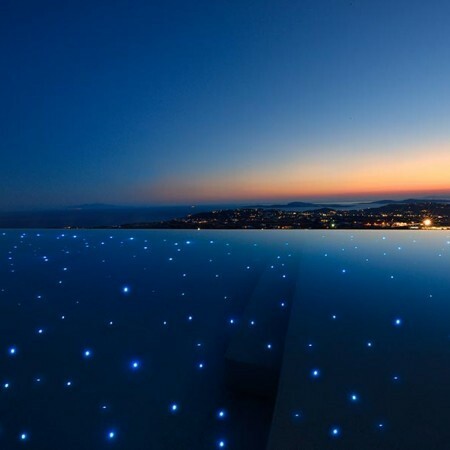 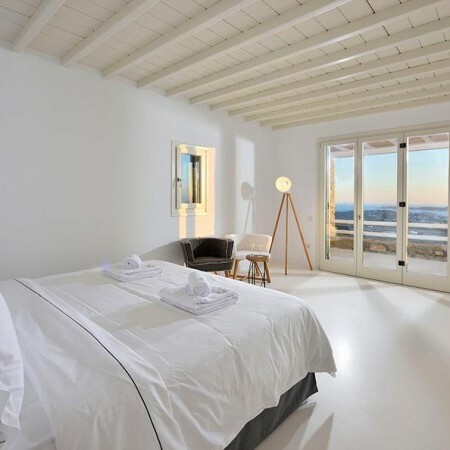 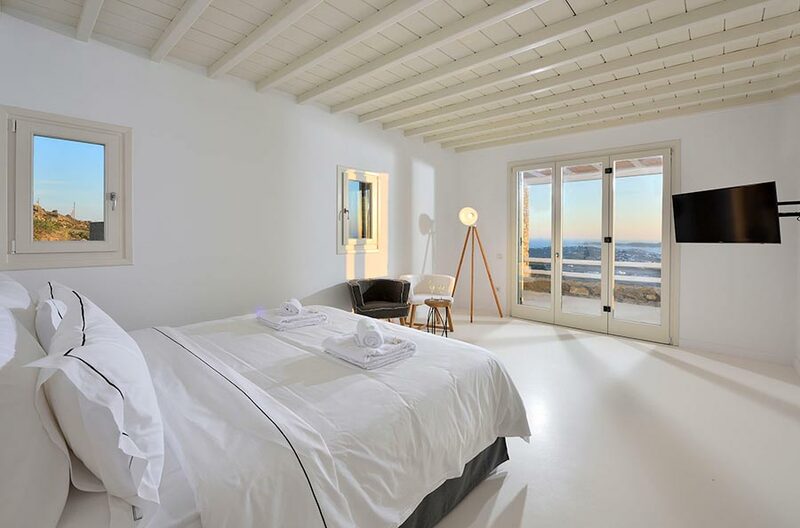 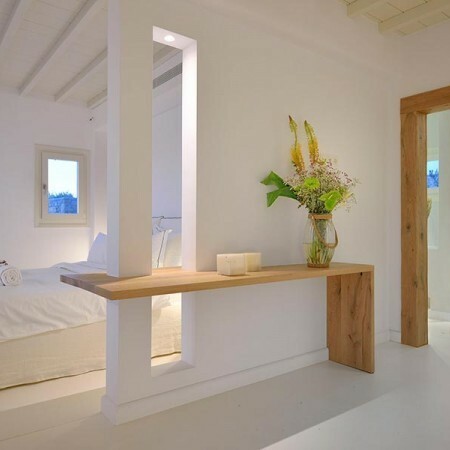 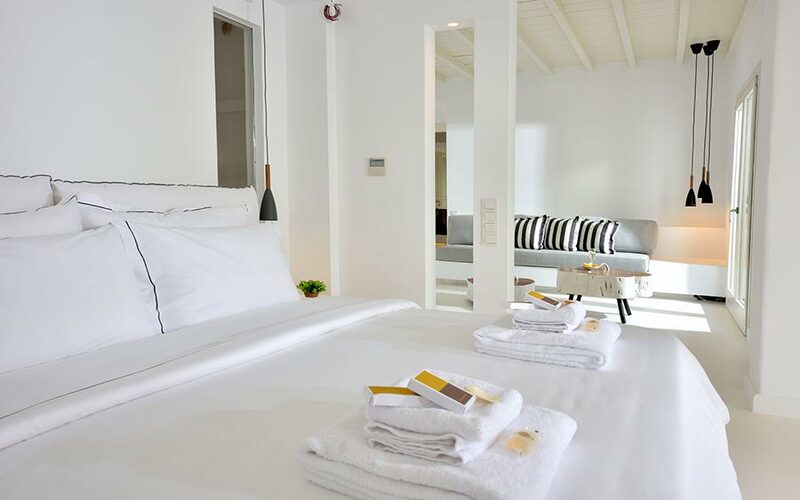 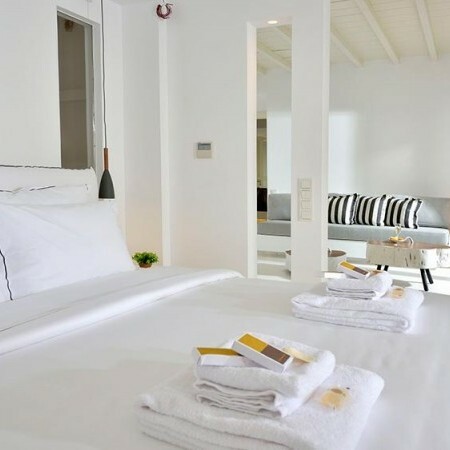 From the grand master suite, the guest has a panoramic view of Mykonos Island and during nighttime it feels like dancing lights. 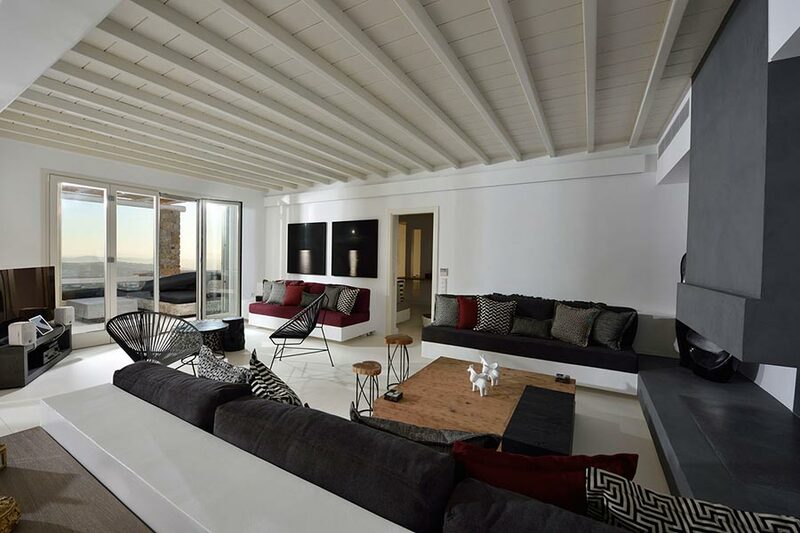 Almandine villa has comfortably chic living room with dining area, fully equipped kitchen, WC, fireplace, indoor Jacuzzi and under floor heating for winter accommodation as well. 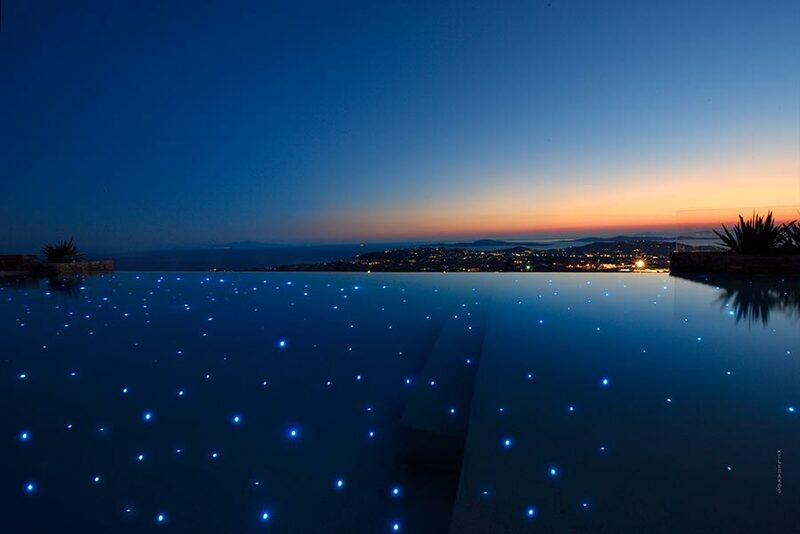 A spectacular private infinity pool with Jacuzzi (100sqm) and fiber optics embellishes the elegant outdoor dining and sitting areas of 260sqm.